View cart “Bach, Johann Sebastian: Sämtliche Klavierwerke II – Partiten I” has been added to your cart. 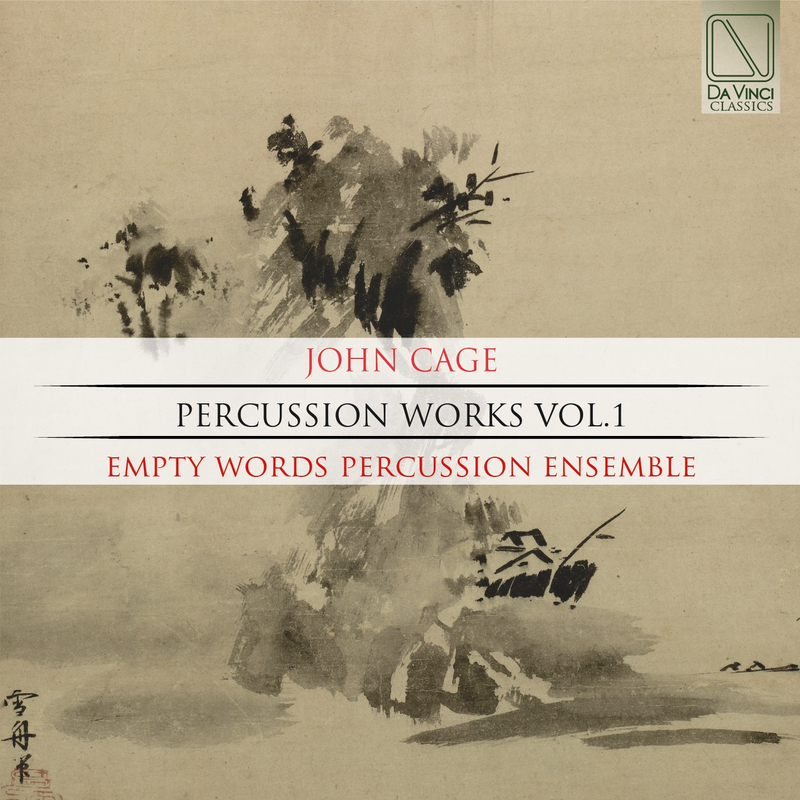 John Cage (b Los Angeles, 5 Sept 1912; d New York, 12 Aug 1992). American composer. One of the leading figures of the postwar avant garde. The influence of his compositions, writings and personality has been felt by a wide range of composers around the world. He has had a greater impact on music in the 20th century than any other American composer. Empty Words Percussion Ensemble (Percussion Ensemble), was founded and directed dy Sergio Armaroli in 2015 with Maurizio Ben Omar, presents concerts for all audiences from the novice to the contemporary music aficionado. EWPE is active in developing new works starting from the early percussion works of John Cage the aims to investigate the world of percussion in the repertoire of the twentieth century about a renewed and philological sound sensitivity; in respect of the musical text and the Idea; through improvisation and invention fed by a ‘Fluxus creative tension’ in percussion music and improvisation in the twentieth century and into the future. The members of Empty Words Percussion Ensemble –Sergio Armaroli, Maurizio Ben Omar, Andrea Dulbecco and Elio Marchesini- hold degrees in music performance from Cremona music high school, Genova and Milano Conservatory. Sergio Armaroli: Founder of the Empty Words Percussion Ensemble. A contemporary music and improvisation specialist with significant experience in orchestral, jazz and experimental music. Armaroli combines the multiple disciplines of 21st Century percussion into a of a unity of experience he completed his studies at the Academy of Fine Arts of Brera in Milan and graduated in painting with full marks at the Conservatory “G. Verdi “in Milan, graduating in Electronic Music, Jazz and Percussion Instruments. () Maurizio Ben Omar: Co-founder of the Empty Words Percussion Ensemble. Graduated in percussion with full marks, studied piano and composition, too. He played in the most important orchestras in Italy and he has held concerts like soloist and in chamber music in Europe, Africa, America and Oceania with ensembles, soloist and conductor like Claudio Abbado, Mario Brunello, Bruno Canino, Giuseppe Sinopoli. Composers like Bussotti, Corghi, Donatoni, Einaudi, Sciarrino, Solbiati, have dedicate down works to him. Andrea Dulbecco: He graduated with honours in percussion instruments under the direction of Franco Campioni at the “Giuseppe Verdi” Conservatoire of Milan, where he also studied composition and graduated in piano. He specialised in vibraphone with David Friedman. He has performed as soloist with the the Milan Orchestra of RAI (Italian National Broadcasting Company), Novosibirsk Philarmonic Society and others. He has also performed with some of the leading Italian chamber music seasons such as La Società del Quartetto, Teatro alla Scala, Accademia Chigiana and others, cooperating with top artists as M. Brunello, E. Fisk, G. Carmignola, E.Morricone, G. Sollima. Elio Marchesini: after graduating from the Milan Conservatory with honors begins collaborations with the most important Italian musical institutions. Winner of national and international competitions can now to be known as a versatile musician, open to many musical reality from classical to avant-garde music, from pop music to ethnic music. This attitude towards sound art led him to collaborations with opera companies and symphony such as the Teatro alla Scala, the Orchestra Sinfonica G. Verdi, the Maggio Musicale Fiorentino and in chamber formations like Contemporart ensemble, the percussion Ensemble of La Scala.